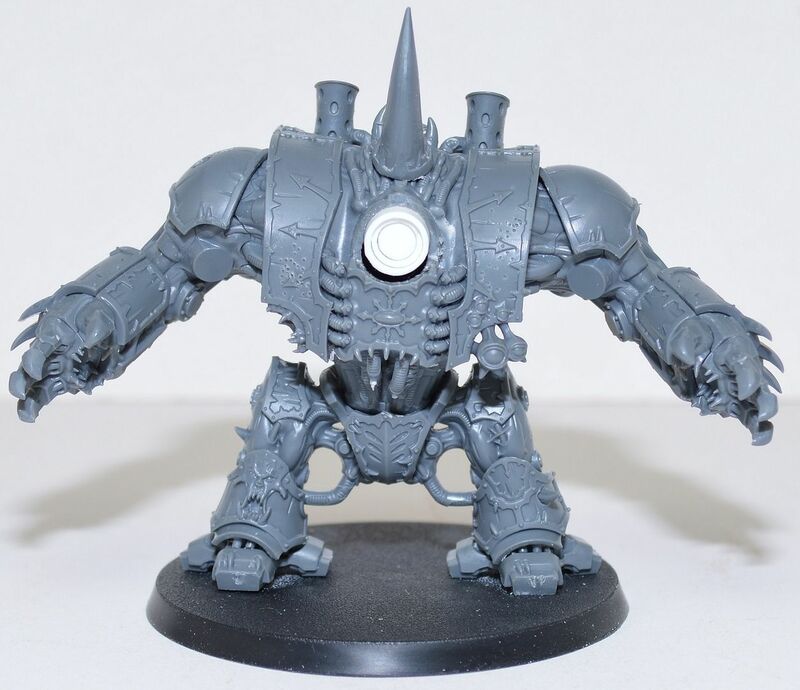 Slipwing's War Room: Stay-cation and more Ogre Kingdoms WIPs! Stay-cation and more Ogre Kingdoms WIPs! I am taking this week off of work because I am building up too much PTO and I will lose it if I do not use it. I could also use the time off to relax and unwind. With the kids back in school, I am just planning to stay home all week and pretty do whatever I want. As well as getting some gaming in this week, I am hoping to get all my new Ogre Kingdoms models built, although I have already made good progress over the past week. Here are some pictures of what I have built so far. 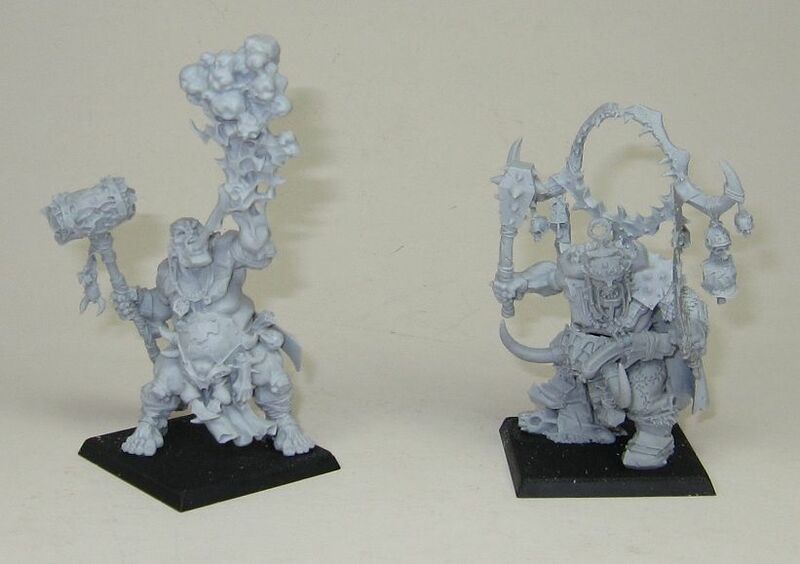 First up, a Firebelly and Golgfag Maneater. I must say that after this experience with Citidel Finecast, I am not as much of a fan as I was with my previous experience. The Firebelly had quite a few cating bubbles, but they are all on the bottom of the model where they cannot be seen. Golgfag on the other hand was a bit worse. If you look at the top of his gutplate, you will see a gap where his gutplate was miscast. I kept it to represent battle damage and will gap fill it with some green stuff. He also has quite a few bubbles, mostly where they cannot be seen, and the pieces did not fit together very well at all. It took a lot of work to put the pieces together so they fit, but I was able to do it without having to use green stuff. The Mournfang Cavalry that I got came without any bases. 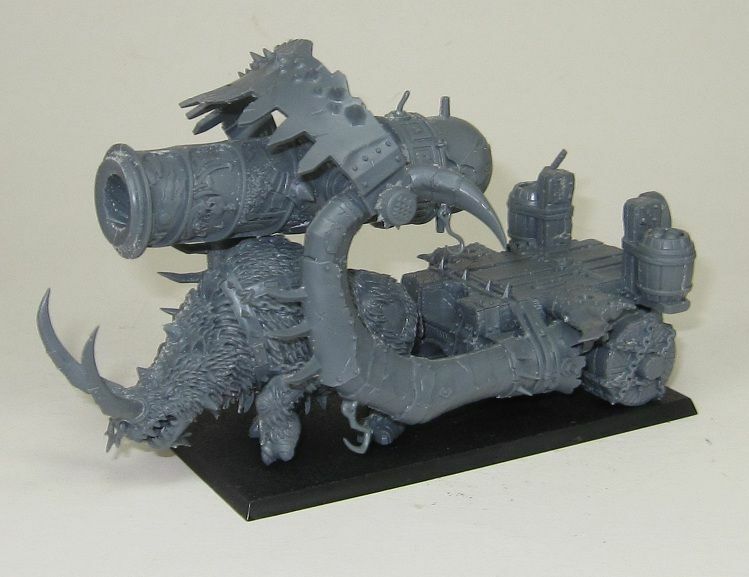 I called GW and they are going to send them to me. I took these bases from the Tomb Kings kits I have yet to build. Overall, I like these models a lot. They went together fairly well and have lots of extra bits. I used an extra Bellower head and arm from my bitz box because I did not want to use the horn on the Musician. 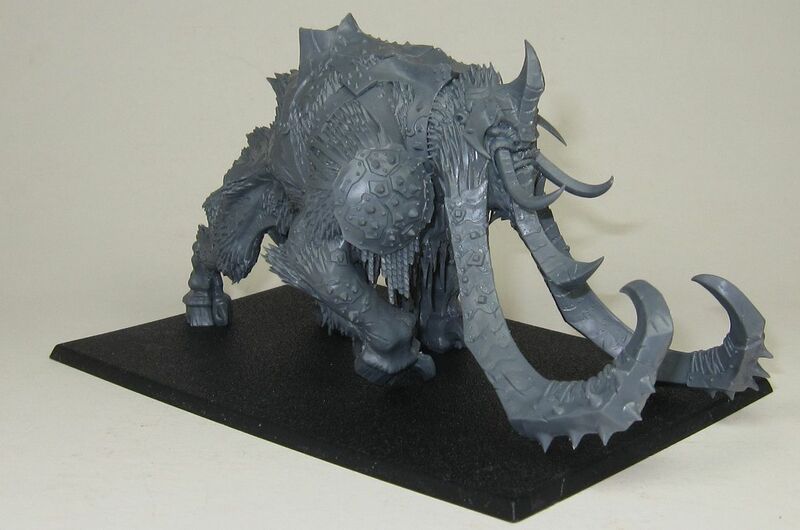 Here is my Thundertusk so far. After seeing this model in person, I like it much better than I did when I first saw it. And lastly, my Ironblaster. This kit has a lot of pieces to it and takes a bit of work to put together. I like it though. However, the base seems a bit small for the model. 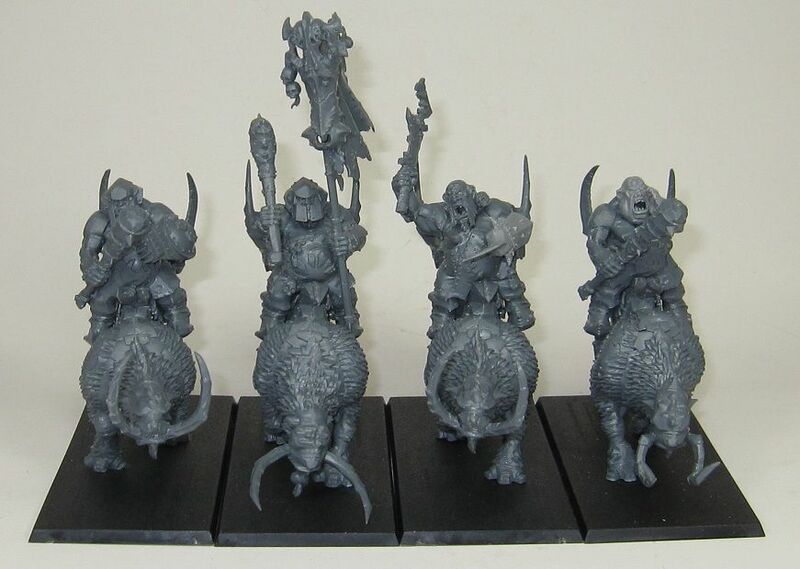 The Rhinox head and horns stick out significantly from the front. Oh no, this makes me want Mournfangs even more now. I'm starting up an ogre army over at http://dissentingdice.blogspot.com/ too. I just out up plans for non Maw wizards.